In this week’s digital news roundup, we’re talking about Instagram’s shopping service, the new Live update to YouTube, some seriously nifty Google launches, and the impact that Facebook’s data scandal is having on social media shares as a whole. If you’ve been checking out our sister company Giant Campus’ Instagram Stories this week, then you’ve probably seen the announcement about shopping on Instagram. This isn’t just a benefit for the retail giants of the world, however. 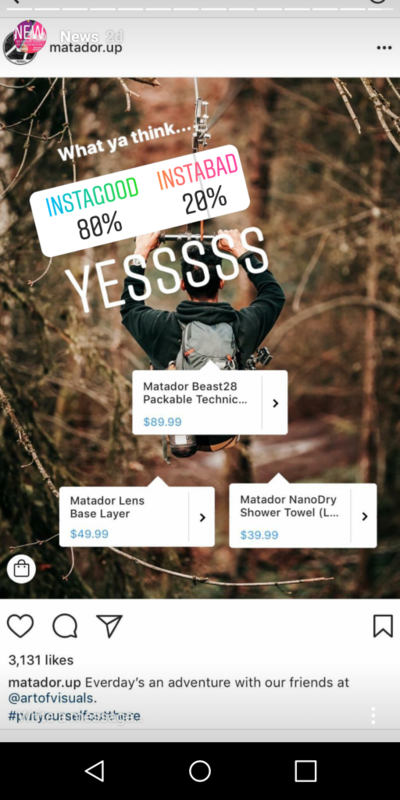 Instagram polled small businesses recently and found that 42% would rather point customers to their Instagram profile rather than their website. With that in mind, perhaps this gives SMEs and startups a whole new way to promote their products and boost sales, focusing on one platform that could generate big results. You may remember last month that we covered a story on church spires being used to boost internet connectivity. Well, now that looks like just the first step when it comes to churches joining the digital world. 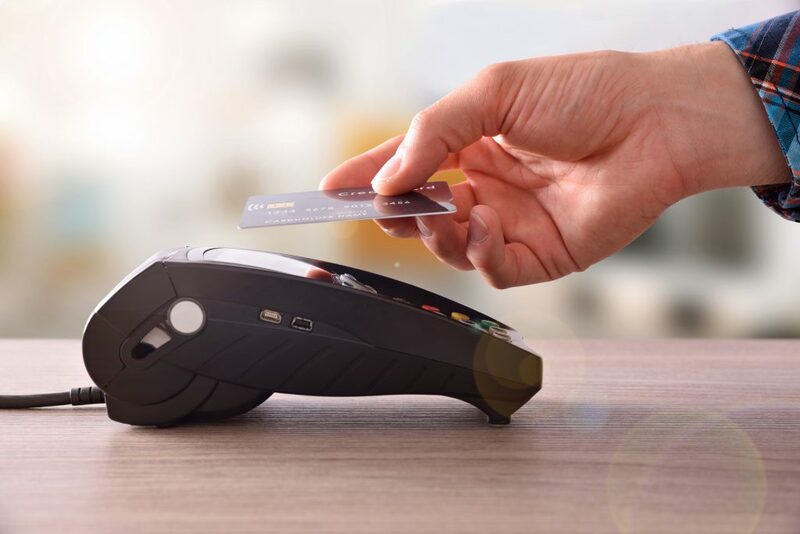 Charity Digital News reported this week that The Church of England is making “contactless, virtual terminal, and SMS mobile payments available throughout England”, following a trial in summer 2017 in cathedrals and parish churches. The scheme, in place to make transactions quicker and easier for congregations, will mean events like weddings, christenings, church fetes and concerts, as well for making one-off donations and the booking of churches and halls, can now be paid for without cash. What’s going to be the next techy move churches opt for? Let us know your predictions in the comments below! If you’re a fan of getting creative with video, then you’re in luck. This week Google released a new app that could give creatives a whole new way to make super cool content on their smartphone. According to the Experiments with Google blog, Google launched Just a Line as an app that lets you “make simple drawings in augmented reality, then share your creation with a short video” – based on previous open-source experiments with ARCore. To create your own Just a Line masterpiece, you simply touch the screen to draw using white lines, then hit record and share what you make with your friends, family or audience. The platform also make a point of saying that, if you’re a developer, you can use the open-sourced code as a starter project for ARCore. Check out the Just a Line app, and don’t forget to show us your creations! YouTube has just launched a new feature designed to make it easier for content creators to go live and interact with their community – whether that’s on a computer or a mobile device. This week the video platform announced the changes on its YouTube Creators blog, saying that the process of going live would now be as easy as a couple of clicks. 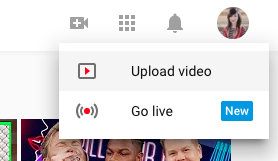 “Just head over to youtube.com/webcam or click on “Go live” in the YouTube header to start your stream. You don’t need any additional streaming software or extra set up,” they explained. Later in the year, YouTube will also be launching the ability to live stream directly from within the camera app. Available on devices from big brands like Asus, LG, Motorola, Nokia and Samsung initially, this should encourage more spontaneous live streams from ad-hoc destinations – with the brand suggesting you could “hold a mini concert, teach snowboarding or celebrate a milestone with fans”. One of our recent blogs highlights the highs and lows of going live with video for brands – and how it’s not always in a business’s best interests. Check it out before you make the leap! This week’s seen widespread impact on the social media industry, as recent reports suggest that investors have dumped £11 billion of social media stocks after regulators began probing the Facebook data scandal. We’ve all experienced those annoying autoplaying videos that start blaring out music, causing you to frantically click from tab to tab in a bid to find the culprit – and promptly shut it up. Well – I come bearing good news! Google finally seems to be serious about blocking these autoplay videos. 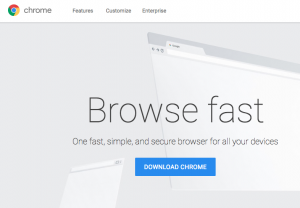 The beta channels of the Chrome update are showing the new autoplay changes now, with the public release expected to happen next month. I did a quick poll of the GIANTs and we unanimously agree that this is one of the best Chrome updates EVER – so we can’t wait for it to roll out. One of the GIANTs, Den, said that this may force the hand of video creators to ensure that video is powerful enough without sound or narration – or mean that we need some new embed options when it comes to adding video to pages. Don’t forget to check back in next Friday for another instalment of our digital news roundup, or head over to the Sleeping Giant Media Instagram to recap some of our previous News Roundup Stories. For now, enjoy the #FridayFeeling!